Congratulations Graduate Class of 2018! Goucher College's 127th Commencement was held on Friday, May 25, 2018, at 10:30 a.m. on the Margaret M. Winslow Great Lawn, between the Athenaeum and Katharine and Jane Welsh Hall, with José Antonio Bowen presiding over the ceremony. April D. Ryan, veteran White House correspondent, CNN political analyst and the Washington, DC bureau chief for American Urban Radio Networks, was the keynote speaker. Jackson Gilman-Forlini ’12 M.A.H.P. 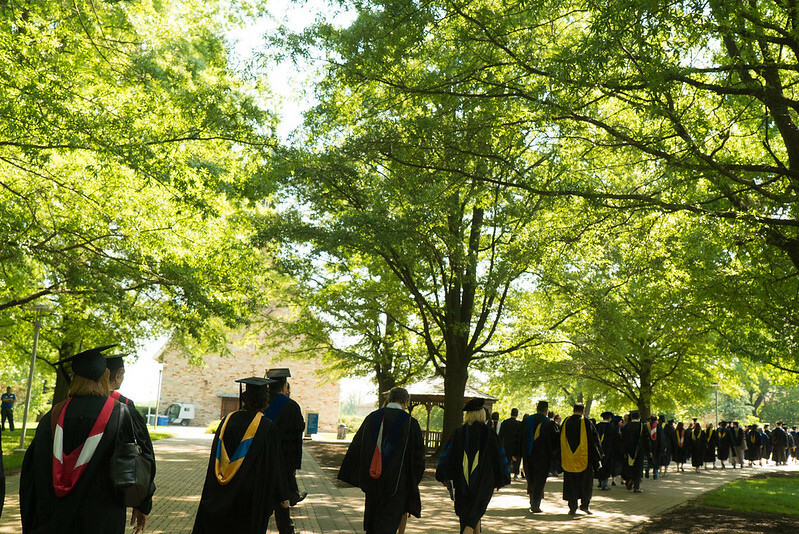 ’18 represented The Welch Center graduates at Goucher College's 2018 Commencement Exercises.